The UK new car market experienced its 36th consecutive month of registration growth in February. 76,958 cars were registered in the month, up 12.0% on February last year, and up 8.3% year-on-year. 241,814 cars were registered in the first 2 months of the year, versus 223,298 in the same period in 2014; a strong number in the run-up to the March new plate. Private registrations recovered slightly after recording a year-on-year dip in January, being up by 3.4% (1,012 units more than in the previous February). Fleet and Business continued to outperform Retail however, posting an increase of 18.6%. When looking at the first 2 months of the year, Private registrations remain at a lower level than in 2014 – it is the Fleet and Business area that is maintaining the year-on-year growth. It will be interesting to see how this plays out in March and whether Retail demand is on a longer-term decline. Rental registrations are certainly aiding the Fleet registration figure, being over 50% up on the same period last year. February is traditionally a fallow month for Rental due to the residual value benefit of awaiting the new plate the following month. It is interesting to see the numbers continuing to increase, with certain manufacturers seemingly comfortable with having more short-cycle vehicles appear in the used market over the coming months, and the risk that this may pose to used car values. Physical footfall into both franchise and independent dealers continued to be healthy in March, with a huge 84% of dealers reporting an improved or similar picture to the previous month. When also looking at the ever-important area of online activity, an even more impressive 87% advised of improvement or parity. March is an important month for franchise dealers in particular, as bonus-related new car targets from manufacturers are always challenging, so it was reassuring to see enquiry levels so high. The picture is not completely positive however, as almost a half of the dealers reported that their margins were being squeezed more and more. The retail market remained ultra-competitive price-wise for used cars, not least because of a steady increase in the costs of sale. With a new plate entering the market in March and a strong push on registrations, there are always inevitably a large number of retail part-exchanges and fleet returns entering the used car arena in this month; it is a case of when, rather than if, these arrive in large enough volumes to influence prices. Safe to say that in March 2015, numbers steadily increased from around the first week but at the time of writing, the major influx was still awaited. As a result, prices remained relatively strong and the average figures were close to equilibrium from February’s position. Within the Black Book Live daily product there were, as always, differing pictures that make up these averages and even some mainstream, volume cars have continued to rise in value, including the majority of the current range of Ford Fiestas, Vauxhall Astra (petrol) and Insignia. When comparing the April 2015 monthly Book with the same month last year, values are marginally down, due to higher volumes in the market, and slightly more pressure on prices than 12 months ago, as CAP predicted. During the spring, SUVs tend to come under particular pressure, with winter drawing to a close and demand dipping. Whilst the overall figures do not show anything dramatic, the averages were held up by the strong performance of some of the more mainstream, lifestyle cars, such as the Nissan Qashqai. It was the larger 4x4 cars that saw prices struggle the most, and the Range Rover Evoque diesel, one of the most stable performers in terms of price over recent years, has been one of the worst affected, particularly in the Dynamic trim. As usual, when seasonality comes into play, values of convertibles tend to do the opposite to SUVs. Through March, with the occasional ray of sunshine poking its way past the clouds (or even the moon!) and temperatures rising, buyers were actively seeking out soft tops and coupe cabriolet vehicles. As a result CAP values in these sectors in Black Book Live increased through the month, certain Audi A3 Convertibles and BMW 3-Series performing particularly well. With a steady increase in numbers, plus the anticipation of larger volumes soon to appear in the market, auction conversion rates started to dip around the middle of March. For the early part of the month they remained close to the 80% mark reported in February, but soon reduced closer to 75%; this is where one would expect to see them at this time of year as stocks increase. It is important to note however, that volumes were higher than at the same point in 2014, and in relative terms, conversion rates have held up well. Many of the buyers for larger used car groups were noticeable by their absence from the halls in March, due to having plenty of cars on their forecourts in readiness for the increased retail demand, and also due to an anticipation of more cars coming into the market and a likely drop in prices. Many used car dealers reported that they saw current trade prices as unsustainably high, and that some form of realignment is likely. In addition to more cars being in the market, the issue of quality increasingly raised its head. Many dealers held onto the desirable part-exchanges, only placing the poorer condition, higher mileage offerings into the auction halls. It is these cars that struggle, with prices becoming adversely affected. CAP is keeping a keen eye on prices of Average and Below condition cars with a view to revising values again over the next few weeks should the evidence suggest it. With reports of strong order banks and manufacturers doing all they can to hit volume and market share targets in March, expect new car registrations to be high. Undoubtedly, some of this volume will not be achieved through natural demand, and large numbers of pre-registered cars are certainly likely. This may well keep some of the franchised dealers out of the wholesale market and also put some price pressure on nearly-new cars. A usual seasonal occurrence is a post-Easter dip in consumer demand. A prolific March for new car registrations will result in an abundance of used car stock. With Easter being right at the beginning of April this year, these two factors are likely to converge at the same time – high supply and lower demand. Add in the fact that prices have been stable-to-strong since the turn of the year and some pressure on prices is highly likely in April. This is nothing untoward however, and has been accounted for in CAP’s forecasting. Over a more prolonged period, demand and supply are expected to be closer matched than in April, although market conditions may be slightly more challenging than in recent years. April is always a pivotal month for used car prices and the situation at the end of March does feel like a watershed. 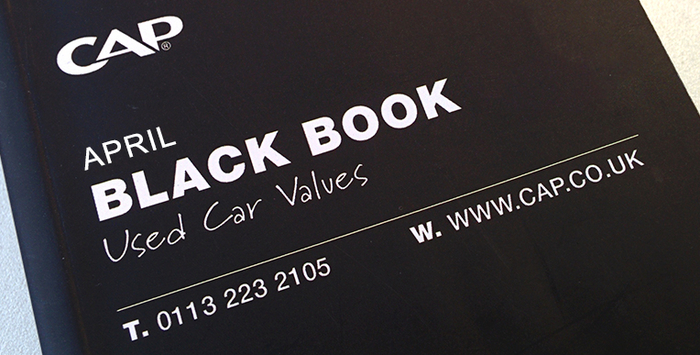 Black Book Live will be particularly important after Easter as volumes increase and the market copes accordingly.